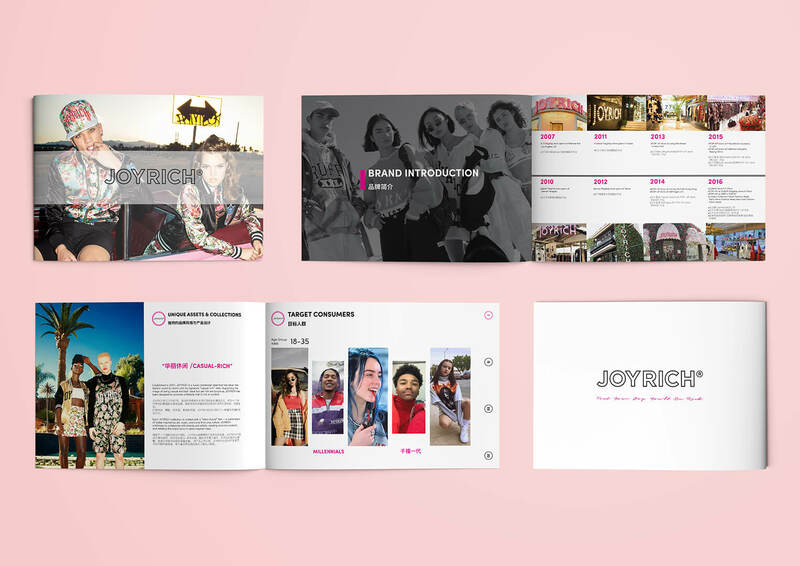 Joyrich is a young and modern fashion clothing brand based out of LA, USA. They approached us to design and layout their 40 page company profile catalog for both digital display and print. The design approach was to focus on the strong model photography while also reorganizing all the content to tell a stronger brand story. The importance of the brand was to focus on their rich history, design style and use of brand color.